Becoming an Entrepreneur isn’t as easy as it sounds. In a society where the rate of unemployment is astronomically high and an enabling business environment exists only on paper, then you may need to think twice before investing in such an environment. Know your competitors: Of course, you are starting out newly, so you’ll need to be abreast with the knowledge of those in your chosen area of interest. This will help you to know what the current trends are, what gaps need to be filled (if any) and how you can render better quality products and services. 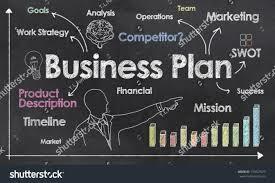 Formulate a business plan: A well-structured business plan affords you the opportunity to ask critical questions like; why do I want to establish this business? Is this the kind of business I should establish in this area? What is my ultimate goal? etc. Assess your finances: Starting any business has a price, so you need to determine how you’re going to cover those costs. Do you have the means to fund your start-up, or will you need to borrow money? If you’re planning to leave your current job to focus on your business, do you have some money to put away to support yourself until you start making a profit? Find out how much you’re going to need. Register your business: To become an officially recognized business entity, you must register with the government. Corporations will need an “articles of incorporation” document, which includes your business name, business purpose, corporate structure, stock details and other information about your company. Otherwise, you will just need to register your business name, which can be your legal name, a fictitious “Doing Business As” name (if you are the sole proprietor), or the name you’ve come up with for your company. You may also want to take steps to trademark your business name for extra legal protection. 5. Build your team: You will need to put together a group of like-minded people who may not necessarily have the requisite skills but are passionate and willing to key into your dreams. Here, you’ll need to understand them and then define roles they can fit into. 6. Branding and Advertisement: Before you start selling your product or service, you need to build your brand. Create a logo that can help people easily identify your brand, and be consistent in using it across all of your platforms, including your all-important company website (if you have or will have one). Use social media to spread the word about your new business. Be sure to also keep these digital assets up to date with relevant, interesting content about your business and industry. Grow your business: Your launch and first sales are only the beginning of your task as an entrepreneur. In order to make a profit and stay afloat, you always need to be growing your business. It’s going to take time and effort, but you’ll get out of your business what you put into it. Collaborating with more established brands in your industry is a great way to achieve growth. Reach out to other companies or even influential bloggers and ask for some promotion in exchange for a free product sample or service.